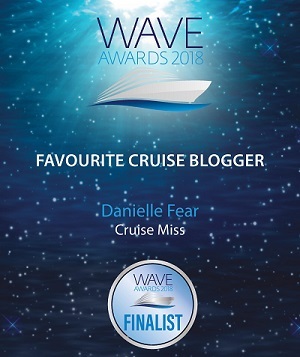 Each cruise line is a brand and each of those brands offer us different experiences, although all in the same boat (pardon the pun) they each are instantly recognisable and you can easily distinguish one from the other. What on earth are you yapping about woman I hear you say, well, if you were to look at the picture to the left, depending on your cruising experience and knowledge you would instantly know it was a Royal Caribbean ship, you following me?! 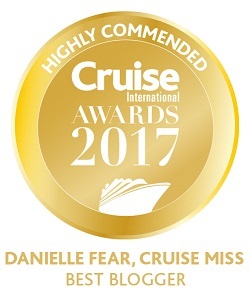 However if you are a little more “out there” as I am when it comes to cruising you also develop the ability to identify a specific ship not only by its logo but by its shape or a specific section of the interior. During my November cruise last year there was a ship off our starboard side, it was miles away but you could just see it through the hazy sunshine. 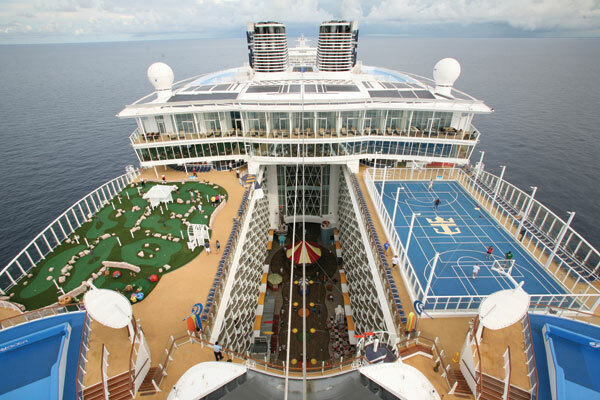 I remember my friend turned to me and said oh I wonder which ship that is; I looked up for a second and replied not sure which ship exactly but it is a Celebrity ship, Solstice Class. She darted her eyes back towards me and yelled, “oh my god how do you do that? 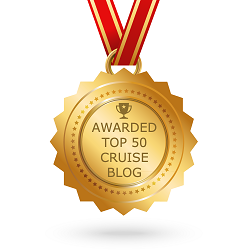 !” It’s easy, I said, look at her shape; she is instantly recognisable as a Celebrity ship. All I could see quite literally was this ships outline but if you look at Solstice Class ships within the Celebrity Cruises fleet they have a distinctive angled stern, this making it easy to identify. 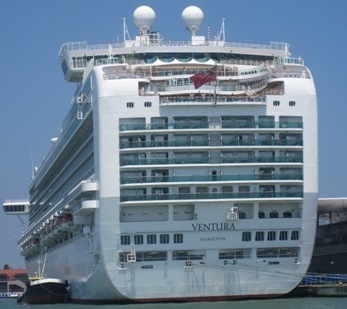 It can be a little trickier sometimes though for example P&O Cruises Ventura has quite a few sister ships, not only Azura within the P&O fleet but also Ruby Princess, Emerald Princess, and so on within the Princess Cruises fleet. It makes distinguishing exactly which ship is which out of these sisters at a distance pretty hard. There is however an easy way to do it when it comes to Azura and Ventura. 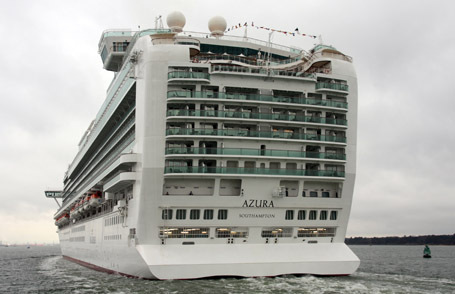 Take a look at the stern, as you will see Azura has what is called a Ducktail (this helps with the ships stability in bad weather) but you can see clearly that Ventura does not. I could do the same thing for many other ships but then I would be giving away all my spotting secrets 😉 fancy sharing some of yours? 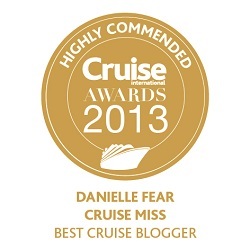 So I say we keep on doing our cruise ship type and brand spotting! Oh the Plane one too! Like when I’m flying into a major hub like ATL, I like to look out the window to see if i can tell what airline another plane belongs too. With airlines, Southwest is the freebie in this game. Not too many others look like Southwest. I am sorry to say,I do it myself on our cruise. We have over 40+ so you get to a few on each trip. It would definitely be a little trickier but depending on the distance I don’t see why not? I had kind of that experience 2 cruises ago, a Costa ship sailed past our starboard side, not at night but the sun had just set, it was hard to figure out which ship exactly but after closer thought I decided it was probably the Costa Serena. I am with you on this one. While I was in Hawaii, I was able to pick out what ships were in port each day. Kona is a tender port so the ships were still a ways out there as well. Also late in the evening, with the sun behind the ship leaving only the silhouette, I was still able to tell. Helping me out though, was the knowledge of what ships sailed the Hawaii itineraries. My question is can you tell what ship it is in the dark when you just see the lights on board? Ps. Picking out a NCL ship doesn’t count because they are SO distinct.